My friends and family got together to go apple picking and play games yesterday. It was a bit drizzly, but warm as we over-loaded our bags with fresh Upstate NY apples. My favorite are MaCoun and we also picked good baking apples such as Pinova and Ida Red. And I’m getting distracted by apples. The point of this post is really the games. We played three different games, each of which, upon reflection, tells me something powerful about my role, and possibly your role, in our present and future as affected by climate change. Let’s begin with a brief description of the games we played. 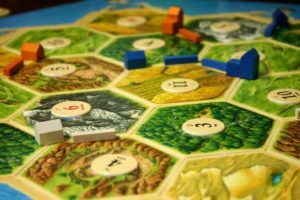 Settlers of Catan – this game consists of hexagonal board pieces and when you play you build the board from scratch, and it is different each time. In brief, players build roads, settlements, and cities, gain resources as based on the roll of the dice, and trade nicely or not-so-nicely with other players to gain resources to build to the victory point end-goal. 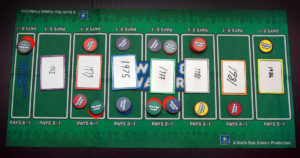 Wits and Wagers – a betting game that levels the playing field by having all participants guess (answer) the number for the stated question. You then arrange the given answers in order on a betting board for all players to bet on. The answer closest to correct without going over is the “winner”, and all betters on that space collect. Dutch Blitz – a game of speed and heightened attention where everyone tries to get rid of their own cards by placing them in the center of the table in piles in number order, low to high. First one to get rid of their “post pile” ends the round, and the scores for each player is the number of cards they moved to the center, minus the cards left in their post pile. Play until a player gets to 75 as their total score. Each game provides me with insights about the work I do every day on policy addressing mitigation and adaptation to climate change, on green building design, and on integrative process education. It may have been kismet that led us to these games yesterday, but maybe I like games such as these because of their complexities and multi-layered interactions. Settlers of Catan is such a fun and collaborative game that it was the final reason convincing us to have a child (we needed a third player). It is complex and appeals to the architect in me as it involves building roads and settlements. It is highly collaborative as there is pretty much no way to win unless you are actively trading with others. There is always a starting strategy based on the board layout and the numbers, but your strategy must be flexible as the resources and opportunities change. There is no one way to play this game, and my approaches have shifted over the years, and depending on the players. My friend’s daughter spends most of the game, for example, being a resource pass-through, enabling other players to build. This doesn’t sour the game for her at all and it adds another layer to the playing when she takes part. My husband and son often end up in trade wars, refusing to deal with each other, which opens the markets up to everyone else. As for me, I hate when people count up the points on the board, and I try to keep my status quiet, as much as possible, even while actively trading. When I win it is usually a surprise to me and everyone else. And this is a reflection on the skills needed in addressing climate change because we need flexibility in our approaches, we must employ many solutions, and we have to be willing to work with others to get to the “win”. And it’s fun in the process (or can be). 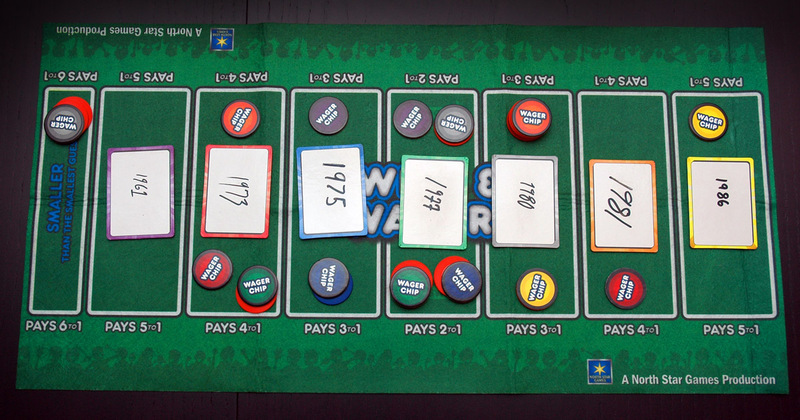 Wits and Wagers, being a betting game, is not a game I ever thought I’d like. The totally lone approach to guessing the answers is, however, mitigated by everyone being able to engage with those answers for potential winnings, and the conversations are a blast. You can’t help talking about movies when you find out that 60% of Americans over 17 attended the movies at least once in 2002. And this ties into the work at hand because the wisdom of crowds is always better than most, if not all, of the informed answers from experts. We must see the responses from others and react to them, build on them, and further the effect of them to get to the “win”. And it’s a hell of a fun game, allowing inputs from people of all ages and experiences (kind of like our world). For some reason I have become the unbeatable player in Dutch Blitz, to the point that I am not fully happy to play, because I get picked on all the time. (Poor me). As I reflect on the game I realize there are several layers of interaction. You need awareness in order to manage the cards in front of you as well as awareness of the overall play so you can respond to the every-changing cards in the middle of the table, simultaneously. I have no control over the cards in the center of the table – they are constantly changed by all players. On the other hand, I have sole control over the cards in front of me, but the arrangement of these cards is directly informed by what’s going on around me. There is zero collaboration in this game; it’s all about the heightening of your awareness to outside influences while managing your own shitpiles (oops, post pile and wood pile). This illustrates yet another skill set or knowledge base needed for climate change work. We have to take responsibility for our own piles, AND use the piles well to build gains in the common areas in order to benefit ourselves. This requires a heightened awareness of influencers outside of your normal role or direct effect. This may be why architects, in general, make good advocates in this fast changing world we’ve created through our decades-long broad climate denial. We can often hold the big picture in our minds while working out very specific details, then see how the detail affects the big picture, all in a complex feat of juggling layers of attention and focus. For some reason, as I write this blog, the Serenity Prayer popped into my head and I now realize that that prayer does not go far enough. Yes there are things we can change, and yes there are things we cannot change. and we absolutely need the wisdom to know the difference. Yet in our climate reality, we also need to work for heightened awareness so that the things we can change are informed by those same things we cannot change to create aligned benefits that affect the common good, and, in turn, resonate benefit back to us. To do that we need to see what’s out there, who we are affecting, what systems we are moving by our choices, and how we can benefit from the actions of others. We need to play more Dutch Blitz. We also need to work together and have a relationship with our competitors so that we can achieve our personal and community goals as we respect and benefit the world’s resources. 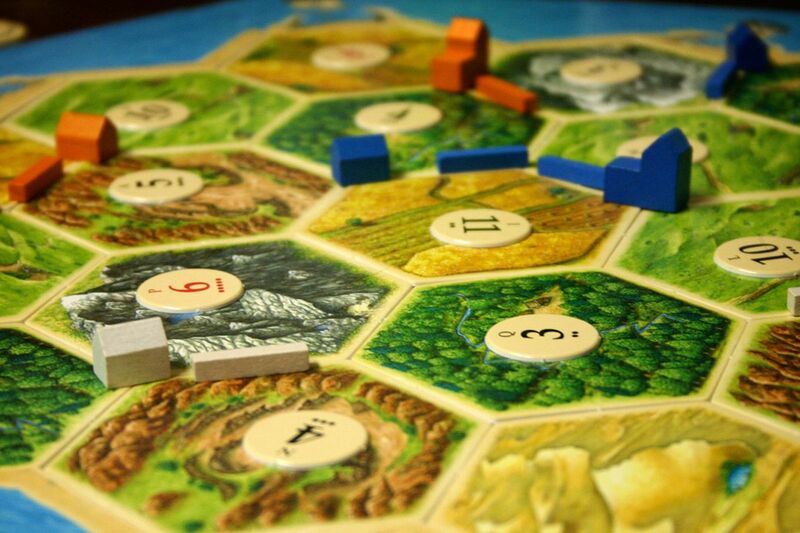 We need to learn from Settlers of Catan. Finally, we need to reach for the wisdom of crowds in order to gain insights into things that are so big or so different from our lives that we could never understand them on our own. We need our Wits and Wagers.